Crystal (http://crystalcc.com) will demonstrate its VidTime™ synchronizing technology in its booth (#SU1322) at NAB 2018. The technology makes distributed playout possible so broadcasters can easily personalize graphics and replace ads on any video channel distributed via cable, satellite or Over-The-Top. Crystal will take a live linear TV channel streamed over a consumer subscription service that contains no ad break signaling and redecorate it with accurate SCTE 104/35 ad break markers. Crystal will then use those markers to replace the original ads with different ads which are the same length. This real-world scenario demonstrates several components of Crystal’s product line. Firstly, Crystal Connect™ will be used to communicate with the origin playout automation system to extract program information and timing. Schedule event data will be matched to VidTime™ temporal fingerprints taken at the origin. The VidTime™ temporal fingerprints and event data will be sent out-of-band to the Crystal Metadata Cloud™ and then delivered to Crystal’s booth at NAB where it will be used to identify specific video frame synchronization and reestablish timing. Once the timing is reestablished, event data will be used to recreate the payload of the original SCTE markers. Crystal will use its own SCTE 104 inserter to put the SCTE messages back into the OTT-sourced HDMI. With complete SCTE markers in place Crystal will use third-party tools to replace ads and display custom graphics. Crystal will also show accurate countdown times to ad breaks and other video metadata that is only known at the video origination point. All of this information will be available to broadcasters for their own platforms, or to be accessed by broadcaster partners via the Crystal Metadata Cloud™. By using out of band messaging, the original ad break messages are faithfully retained, which assures the broadcaster ad replacements, blackouts and rights enforcement can be executed correctly by affiliates. 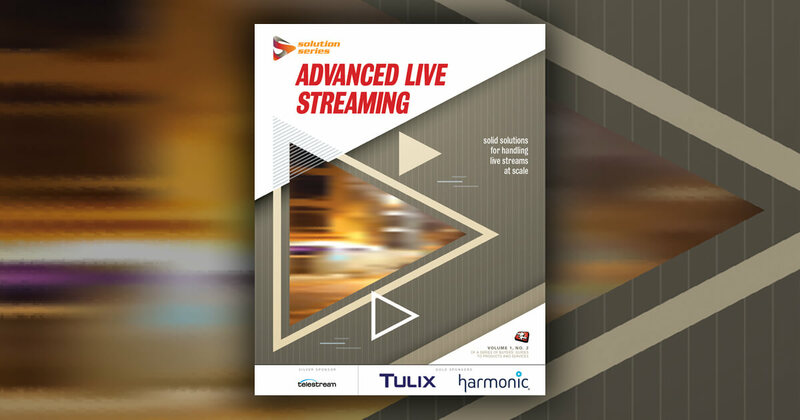 Beyond ad replacement and personalized graphics, the same VidTime™ technology can be applied to signal monitoring where it can detect delays, or discrepancies between monitoring points both local and remote. It can also be used to detect and correct lip sync errors, synchronize disaster recovery playout, drive customized workflows and 3rd party applications. Crystal will be demonstrating VidTime™, along with its other solutions for traditional and OTT metadata insertion, as well as monitoring and control of broadcast and satellite networks, in its booth (#SU1322) at NAB from 9th -12th April. To book a meeting, please contact Lisa Howard (lisa.howard@crystalcc.com). Crystal provides advanced monitoring and control software for video distribution over satellite, cable or the Internet. It makes any combination of hardware and software, from practically any manufacturer, operate reliably as a single seamless system. Its software is also on the leading edge of new OTT applications, with frame-accurate precision that enables everything from dynamic ad insertion and content replacement to live-to-VOD and live clipping without adding infrastructure or manual processing. That is why, over the past 30 years, the world’s leading broadcast and cable networks have trusted Crystal to support hundreds of billions in revenue. Founded in 1986, Crystal is headquartered in Greater Atlanta, GA. For more information, visit www.crystalcc.com.